Spirits & Tales events are coming! Jessica Lewis graduated from the University of Virginia as a NCAA All American Student Athlete with a BA in Economics. Jessica worked for asset management group, Vanguard, straight out of school and shortly realized she needed something a little more fast-paced. As a nationally ranked swimmer, Jessica was accustomed to dedicated training and competition but also always enjoyed eating and drinking as much as she enjoyed being an athlete. She put two-and-two together and decided to dive into the culinary world. After attending the Institute of Culinary Education in NYC, Chef Lewis worked in various kitchens in town and eventually landed the opportunity to be a contestant on Hell’s Kitchen: Season 11 with celebrity chef, Gordon Ramsay. After her time with Chef Ramsay, Chef Lewis went back to combined her two loves- sports and food- by working at the Mets’ Citifield Stadium in New York, then, later, moving to Heinz Field in Pittsburgh, working for the Steelers as well as the VIP catering program. 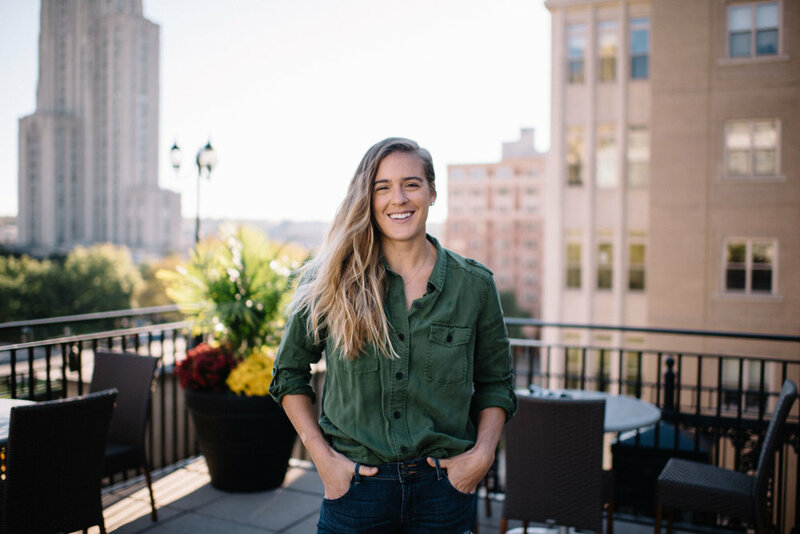 After her time at Heinz Field, Chef Lewis joined Kimpton Hotels and was a key member of the opening team at The Commoner, Hotel Monaco. She was then invited to audition for the inaugural “class” at Pittsburgh’s Smallman Galley, a chef incubator where four chefs live under one roof and serve their own food and concept out of their own kitchen. Chef Lewis’s concept, Carota Cafe, was wildly successful and one of the only vegetable-forward concepts in Pittsburgh at the time. After her stint at Smallman Galley, she helped open and operate or, The Whale, and cocktail bar Evangeline at the Distrikt Hotel and Merchant Oyster Co. located in Lawrenceville. 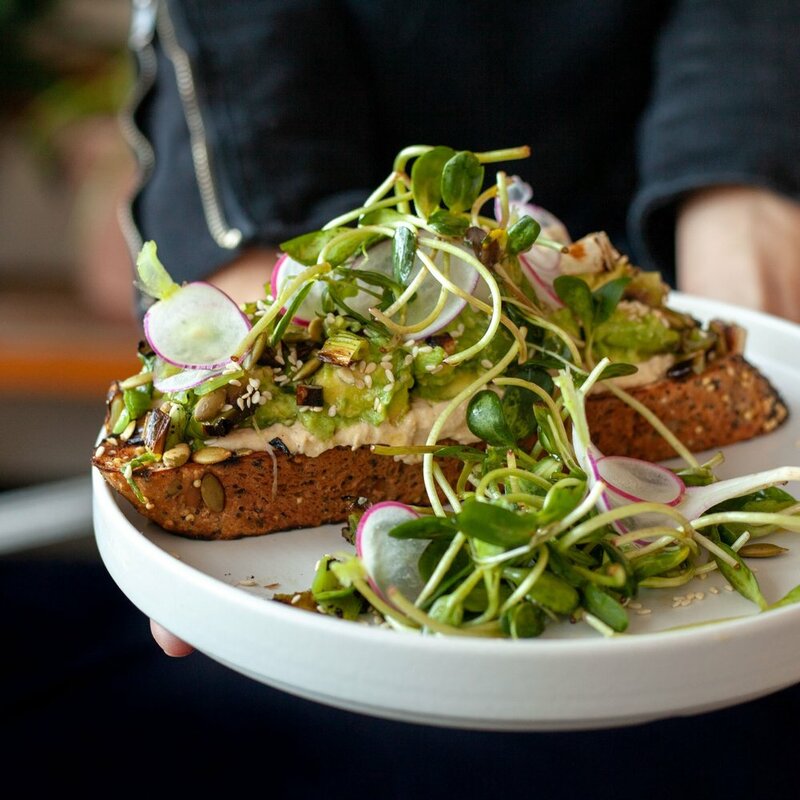 In addition to cooking tasty veg-forward food, Chef Lewis is widely known for her attention to detail, impeccable taste, people skills, and passion for sustainability. Catch her in the kitchen as Executive Chef of Spirits & Tales at The Oaklander Hotel. Michael Goldberg is a Pittsburgh native with over twenty years experience in the hospitality and entertainment industries. 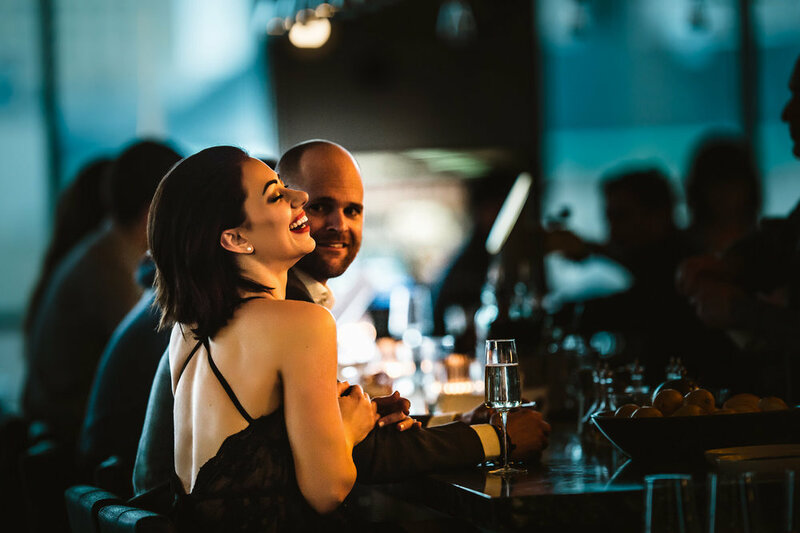 After beginning his career in New York as the Front of House Manager/Maitre d ‘Hotel at the Angus McIndoe Restaurant in 2004, Michael explored the entertainment industry, gaining valuable insight and skills as a talent manager at IMG. After five successful years at IMG, Michael was drawn back to the genuine connections and warmth of spirit in the people he worked with and served in the food and beverage industry. Michael moved into catering sales and event planning at the acclaimed Sugar Bee Catering (NYC). In 2013, Michael moved back to Pittsburgh where he furthered his career in management and service with the Big Burrito Group in positions ranging from Event Coordinator to General Manager at ELEVEN, Casbah, and Sobah. In 2016, Michael became the Food & Beverage Director at the Ace Hotel Pittsburgh and General Manager of its nationally recognized restaurant, Whitfield. Michael joined The Oaklander Hotel/ Spirits & Tales as the Food & Beverage Director in late 2018 and brings with him a reputation for creative collaboration and a shared passion with his culinary contemporaries for excellent ingredients, local sourcing, and unparalleled guest experience.